The Survivors: A World Away site (the companion site of this blog, which focuses on the original 1975-1977 series) has launched a new mini-site dedicated to the new Survivors audio adventures from Big Finish. The new site is still being actively developed, but already includes reviews of all four episodes in the first series, and exclusive interviews with producer David Richardson, director Ken Bentley and scriptwriters Matt Fitton, Jonathan Morris and Andrew Smith. Interviews with new and returning Survivors cast members will be added to the site in the coming weeks. Sky TV’s celebration of six of the top post-apocalyptic shows features the original Survivors (alongside The Walking Dead, Firefly, Red Dwarf, The Day of the Triffids, and Battlestar Galactica (original series)). Sky liked the description of the original Survivors found on this blog and the Survivors: A World Away site so much, they *borrowed* from it without attribution and claimed it as their own. Small-screen stalwart Iain Cuthbertson, who memorably appeared in the role of Laird McAlister in the final episode of the original Survivors, has died aged 79. Probably best known for his roles in Sutherland’s Law and Budgie, Cuthbertson’s numerous genre credits include ITV children’s supernatural drama Children of the Stones, the adapted M R James’ chiller Casting the Runes, and the Doctor Who story The Ribos Operation. In the finale of series three of the original Survivors, Cuthbertson’s Laird was determined to assert the interests of Scottish survivors and challenge any plans that Agnes’ new ruling council might have to take the country’s resources for granted. Obituaries appeared in The Times, The Guardian, The Independent and The Scotsman. The first series of Survivors (2008) will be shown on the RAI-TRE station in Italy, beginning with a broadcast of the 90-minute opening episode at 21:10 on Thursday 3 September 2009. The first and second series of the original Survivors were extremely popular when shown in Italy by RAI (1979-1982) and TMC (1983). Transmission of the new series is certain to encourage renewed interest in the original Survivors – all three series of which have been released on DVD in Italy (as both a series of box-sets and a multi-part serial) for the first time. Many thanks to Luca and Riccardo for alerting the blog to this news. 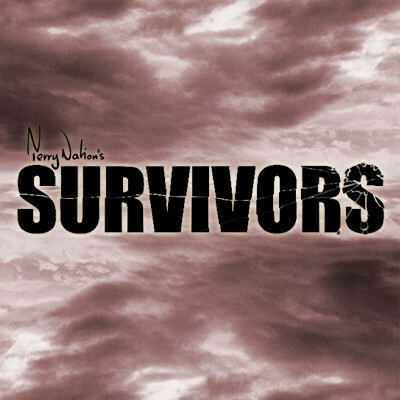 Martin Worth, who wrote scripts for the second and third series of the original Survivors, was interviewed on BBC Radio 4’s Broadcasting House on Sunday 30 November, discussing how the real-world survival skills of current day survivors would compare with those expected of the public thirty years ago. (The episode is available on the BBC’s iPlayer until the next episode broadcast at 10am on 7 December). Elsewhere on Radio 4, Survivors was also the theme for the spiritual Thought for the Day slot on the morning news show Today on 25 November.